What are the different types of blood? What are the types of blood transfusions? Are there alternatives to blood transfusions? Blood transfusions can be a life saving measure. Volunteer donor blood usually is readily available, and when properly tested has a low incidence of adverse events. The likelihood of contracting infections from a blood transfusion is very low (varies with the infectious agent from 1 in 350,000 to 1 in 1 million), but can occur. Transfusion of your own blood (autologous) is the safest method, but requires planning and not all patients are eligible. It is usually only an option for elective surgery. Directed donor blood allows the patient to receive blood from known donors. Blood conserving techniques are an important aspect of limiting transfusion requirements. Blood banks are responsible for collecting, testing and storing blood. People with Type O, negative blood are considered universal donors as it is safe to transfuse to nearly everyone. Most of the time a transfusion is not a "whole blood" transfusion, but rather certain blood products, with red blood cells being the most common. A blood transfusion is the transfer of blood or blood products from one person (donor) into another person's bloodstream (recipient). This is usually done as a lifesaving maneuver to replace blood cells or blood products lost through severe bleeding, during surgery when blood loss occurs or to increase the blood count in an anemic patient. The following material is provided to all patients and/or their family members regarding blood transfusions and the use of blood products. Although in most situations the likelihood of a blood transfusion associated with surgery is uncommon, at times patients may require blood products. You are encouraged to discuss your particular need for transfusion as well as the risks of transfusion with your doctor. Your options may be limited by time and health factors, so it is important to begin carrying out your decision as soon as possible. For example, if friends or family members are donating blood for a patient (directed donors); their blood should be drawn several days prior to the anticipated need to allow adequate time for testing and labeling. The exact protocols are hospital and donor site specific. The safest blood product is your own, so if a transfusion is likely, this is your lowest risk choice. Unfortunately, this option is usually only practical when preparing for elective surgery. In most other instances, the person cannot donate their own blood due to the acute nature of the need for blood. Although you have the right to refuse a blood transfusion, this decision may have life-threatening consequences. If you are a parent deciding for your child, you as the parent or guardian must understand that in a life-threatening situation your doctors will act in your child's best interest to insure your child's health and wellbeing in accordance with standards of medical care regardless of religious beliefs. Please carefully review this material and decide with your doctor which option(s) you prefer, understanding that your doctor will always act in the best interest of his or her patient. To assure a safe transfusion make sure your healthcare provider who starts the transfusion verifies your name and matches it to the blood that is going to be transfused. Besides your name, a second personal identifier usually used is your birthday. This assures the blood is given to the correct patient. If during the transfusion you have symptoms of shortness of breath, itching, fever or chills or just not feeling well, alert the person transfusing the blood immediately. Blood can be provided from two sources: autologous blood (using your own blood) or donor blood (using someone else's blood). Pre-operative donation: donating your own blood before surgery. The blood bank draws your blood and stores it until you need it during or after surgery. This option is only for non-emergency (elective) surgery. It has the advantage of eliminating or minimizing the need for someone else's blood during and after surgery. The disadvantage is that it requires advanced planning which may delay surgery. Some medical conditions may prevent the pre-operative donation of blood products. Intra-operative autologous transfusion: recycling your blood during surgery. Blood lost during surgery is filtered, and put back into your body during surgery. This can be done in emergency and elective surgeries. It has the advantage of eliminating or minimizing the need for someone else's blood during surgery. Large amounts of blood can be recycled. This process cannot be used if cancer or infection is present. Post-operative autologous transfusion: recycling your blood after surgery. Blood lost after surgery is collected, filtered and returned to your body. This can be done in emergency and elective surgeries. It has the advantage of eliminating or minimizing the need for someone else's blood during surgery. This process can't be used in patients where cancer or infection is present. Hemodilution: donating your own blood during surgery. Immediately before surgery, some of your blood is taken and replaced with IV fluids. After surgery, your blood is filtered and returned to you. This is done only for elective surgeries. This process dilutes your own blood so you lose less concentrated blood during surgery. It has the advantage of eliminating or minimizing the need for someone else's blood during surgery. The disadvantage of this process is that only a limited amount of blood can be removed, and certain medical conditions may prevent the use of this technique. Apheresis: donating your own platelets and plasma. Before surgery, your platelets and plasma, which help stop bleeding, are withdrawn, filtered, and returned to you when you need it later. This can be done only for elective surgeries. This process may eliminate the need for donor platelets and plasma, especially in high blood-loss procedures. The disadvantage of this process is that some medical conditions may prevent apheresis, however, it has limited applications. All donor blood is tested for safety making its risks very small, but no screening program is perfect and risks, such as contraction of the hepatitis virus or other infectious disease still exist. Volunteer blood: blood collected from the community blood supply (blood banks). This has the advantage of being readily available, and can be life saving when your own blood is not available. The disadvantage is that there is a risk of disease transmission, such as hepatitis, and allergic reactions. Designated donor blood: blood is collected from the donors you select. You can select people with your own blood type who you feel are safe donors. Like volunteer blood, there is still a risk of disease transmission, such as hepatitis and AIDS, and allergic reactions. This process usually requires several days for advanced donation. It may not necessarily be safer than volunteer donor blood. Blood banks collect, test, and store blood. They carefully screen all donated blood for possible infectious agents, such as viruses, that could make you sick. Blood bank staff also screen each blood donation to find out whether it's type A, B, AB, or O and whether it's Rh-positive or Rh-negative. Getting a blood type that doesn't work with your own blood type will make you very sick. That's why blood banks are very careful when they test the blood. To prepare blood for a transfusion, some blood banks remove white blood cells. This process is called white cell or leukocyte (LU-ko-site) reduction. Although rare, some people are allergic to white blood cells in donated blood. Removing these cells makes allergic reactions less likely. Not all transfusions use blood donated from a stranger. If you're going to have surgery, you may need a blood transfusion because of blood loss during the operation. If it's surgery that you're able to schedule months in advance, your doctor may ask whether you would like to use your own blood, rather than donated blood. If you choose to use your own blood, you will need to have blood drawn one or more times prior to the surgery. A blood bank will store your blood for your use. Almost all cells, including red blood cells, have molecules on their surface that have important roles to play in interactions with cells of the immune system. There are multiple sites on each cell for the molecules, and at each site, one of several related molecules may reside. Each site has only a limited number of different molecules that can reside there; each site has its own, unique molecules. Each molecule that can reside at any one site is referred to (defined) as a blood type, and the entire group of related molecules that can occupy a single site is referred to as a blood group. A blood group is an inherited feature. For example, two series of blood types constitute a blood group system known as the Rh or the ABO systems. Because blood types are responsible for the interactions between cells such as red blood cells and the immune system, it is important that the blood types of the donor and the recipient of red blood cells match. If the donor and recipient's blood types are not matched, the recipient's immune system will destroy the donor's cells. For example, if a person has type A blood, it's either type A positive or type A negative. Type O negative blood is safe for just about everyone. People with type O negative blood are referred to as universal donors; and type O negative blood is used for emergencies in which there is no time to test a person's blood type. Individuals who have type AB positive blood are referred to as universal recipients. This means that they can receive any type of blood. People who have Rh-positive blood can receive Rh-positive or Rh-negative blood. If a person has Rh-negative blood, they should only receive Rh-negative blood. Rh-negative blood is used for emergencies when there is not time to test a person's Rh type. Blood is transfused either as whole blood (with all its parts) or, more frequently as individual parts. The type of blood transfusion you need depends on your situation. Red blood cells are the most commonly transfused components of the blood. These cells carry oxygen from the lungs to your body's organs and tissues. They also help your body get rid of carbon dioxide and other waste products. You may need a transfusion of red blood cells if you've lost blood due to an injury or surgery. You also may need this type of transfusion if you have severe anemia (uh-NEE-me-uh) due to disease or blood loss. Anemia is a condition in which your blood has a lower than normal number of red blood cells. Anemia also can occur if your red blood cells don't have enough hemoglobin (HEE-muh-glow-bin). Hemoglobin is an iron-rich protein that gives blood its red color. This protein carries oxygen from the lungs to the rest of the body. Platelets and clotting factors help stop bleeding, including internal bleeding that you can't see. Some illnesses may cause your body to not make enough platelets or clotting factors. You may need regular transfusions of these blood products to stay healthy. For example, if you have hemophilia (heem-o-FILL-ee-ah), you may need a special clotting factor to replace the clotting factor you're lacking. Hemophilia is a rare, inherited bleeding disorder in which your blood doesn't clot normally. If you have hemophilia, you may bleed for a longer time than others may after an injury or accident. You also may bleed internally, especially in the joints (knees, ankles, and elbows). Plasma is the liquid part of your blood. It's mainly water, but also contains proteins, clotting factors, hormones, vitamins, cholesterol, sugar, sodium, potassium, calcium, and more. If you have been badly burned or have liver failure or a severe infection, you may need a plasma transfusion. Blood transfusions are very common. Each year, almost 5 million Americans need blood transfusions. This procedure is used for people of all ages. Many people who have surgery need blood transfusions because they lose blood during their operations. For example, about one-third of all heart surgery patients have a transfusion. Some people who have serious injuries - such as from car crashes, war, or natural disasters - need blood transfusions to replace blood lost during the injury. A severe infection or liver disease that stops your body from properly making blood or some parts of blood. An illness that causes anemia, such as kidney disease or cancer. Medicines or radiation used to treat a medical condition also can cause anemia. There are many types of anemia, including aplastic, Fanconi, hemolytic, iron-deficiency, pernicious, and sickle cell anemias and thalassemia (thal-a-SE-me-a). A bleeding disorder, such as hemophilia or thrombocytopenia (THROM-bo-si-to-PE-ne-ah). Before a blood transfusion, a technician tests your blood to find out what blood type you have (that is, A, B, AB, or O and Rh-positive or Rh-negative). He or she pricks your finger with a needle to get a few drops of blood or draws blood from one of your veins. The blood type used in your transfusion must work with your blood type. If it doesn't, antibodies (proteins) in your blood attack the new blood and make you sick. Some people have allergic reactions even when the blood given does work with their own blood type. To prevent this, your doctor may prescribe a medicine to stop allergic reactions. If you have allergies or have had an allergic reaction during a past transfusion, your doctor will make every effort to make sure you're safe. Most people don't need to change their diets or activities before or after a blood transfusion. Your doctor will let you know whether you need to make any lifestyle changes prior to the procedure. Blood transfusions take place in either a doctor's office or a hospital. Sometimes they're done at a person's home, but this is less common. Blood transfusions also are done during surgery and in emergency rooms. A needle is used to insert an intravenous (IV) line into one of your blood vessels. Through this line, you receive healthy blood. The procedure usually takes 1 to 4 hours. The time depends on how much blood you need and what part of the blood you receive. During the blood transfusion, a nurse carefully watches you, especially for the first 15 minutes. This is when allergic reactions are most likely to occur. The nurse continues to watch you during the rest of the procedure as well. After a blood transfusion, your vital signs are checked (such as your temperature, blood pressure, and heart rate). The intravenous (IV) line is taken out. You may have some bruising or soreness for a few days at the site where the IV was inserted. You may need blood tests that show how your body is reacting to the transfusion. Your doctor will let you know about signs and symptoms to watch for and report. Most blood transfusions go very smoothly. However, mild problems and, very rarely, serious problems can occur. Some people have allergic reactions to the blood given during transfusions. This can happen even when the blood given is the right blood type. A nurse or doctor will stop the transfusion at the first signs of an allergic reaction. The health care team determines how mild or severe the reaction is, what treatments are needed, and whether the transfusion can safely be restarted. Some infectious agents, such as HIV, can survive in blood and infect the person receiving the blood transfusion. To keep blood safe, blood banks carefully screen donated blood. HIV. Your risk of getting HIV from a blood transfusion is lower than your risk of being killed by lightning. Only about 1 in 2 million donations might carry HIV and transmit HIV if given to a patient. Hepatitis B and C. The risk of having a donation that carries hepatitis B is about 1 in 205,000. The risk for hepatitis C is 1 in 2 million. If you receive blood during a transfusion that contains hepatitis, you'll likely develop the virus. Variant Creutzfeldt-Jakob disease (vCJD). This disease is the human version of Mad Cow Disease. It's a very rare, yet fatal brain disorder. There is a possible risk of getting vCJD from a blood transfusion, although the risk is very low. Because of this, people who may have been exposed to vCJD aren't eligible blood donors. You may get a sudden fever during or within a day of your blood transfusion. This is usually your body's normal response to white blood cells in the donated blood. Over-the-counter fever medicine usually will treat the fever. Some blood banks remove white blood cells from whole blood or different parts of the blood. This makes it less likely that you will have a reaction after the transfusion. Getting many blood transfusions can cause too much iron to build up in your blood (iron overload). People who have a blood disorder like thalassemia, which requires multiple transfusions, are at risk for iron overload. Iron overload can damage your liver, heart, and other parts of your body. If you have iron overload (hemochromatosis), you may need iron chelation (ke-LAY-shun) therapy. For this therapy, medicine is given through an injection or as a pill to remove the extra iron from your body. Although it's unlikely, blood transfusions can damage your lungs, making it hard to breathe. This usually occurs within about 6 hours of the procedure. Most people recover, however, 5% to 25% of people who develop lung injuries die from the injuries. These people usually were very ill before the transfusion. Doctors aren't completely sure why blood transfusions damage the lungs. Antibodies (proteins) that are more likely to be found in the plasma of women who have been pregnant may disrupt the normal way that lung cells work. Because of this risk, hospitals are starting to use men's and women's plasma differently. Acute immune hemolytic reaction is very serious, but also very rare. It occurs if the blood type you get during a transfusion doesn't match or work with your blood type. Your body attacks the new red blood cells, which then produce substances that harm your kidneys. The doctor will stop the transfusion at the first sign of this reaction. This is a much slower version of acute immune hemolytic reaction. 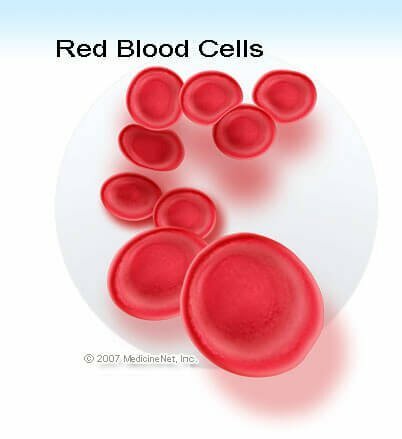 Your body destroys red blood cells so slowly that the problem can go unnoticed until your red blood cell level is very low. Both acute and delayed hemolytic reactions are most common in patients who have had a previous transfusion. Graft-versus-host disease (GVHD) is a condition in which white blood cells in the new blood attack your tissues. GVHD usually is fatal. People who have weakened immune systems are the most likely to get GVHD. Symptoms start within a month of the blood transfusion. They include fever, rash, and diarrhea. To protect against GVHD, people who have weakened immune systems should receive blood that has been treated so the white blood cells can't cause GVHD. Researchers are trying to find ways to make blood. There's currently no manufactured alternative to human blood. However, researchers have developed medicines that may help do the job of some blood parts. For example, some people who have kidney problems can now take a medicine called erythropoietin that helps their bodies make more red blood cells. This means they may need fewer blood transfusions. Surgeons try to reduce the amount of blood lost during surgery so that fewer patients need blood transfusions. Sometimes they can collect and reuse the blood for the patient. Frellick, M. Blood Transfusion Guidelines Updated by AABB. Medscape. Updated: Oct 12, 2016.